Browse: Home / How Do I…? To access your account click here. Alternatively, you can access your account by clicking on Using the Library on the left menu block > A pop-up menu will display > drag your mouse over to and click on My Account. To access your account on the go via your Android, iPhone and/or iPod Touch device. Download the BookMyne mobile app. This FREE app developed by SirsiDynix allows users to access the online catalog. Use BookMyne to easily search for books, place holds or renew from your portable device. Download the app at the iTunes store. For more product information, visit this link. Find Out About Upcoming Events and Programs? See events posted around the site. 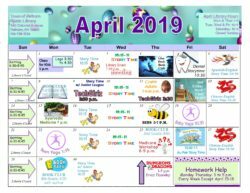 Our “What’s Happening” section and mini calendar in the right margin will lead to our full calendar as well as related events on Adult Services, Teen Services, and Children’s Services page. Please see our page Get A Library Card for complete information. Alternatively you can get there from the left menu block > Using the Library > Get a Library Card. See the directions for auto, train and bus by clicking here or the Directions link on the left menu block. We are located on the corner of Wolfs Lane and Colonial Avenue, at the intersection of the Villages of Pelham and Pelham Manor, diagonally across from the Pelham Memorial High School. If you wish to make a donation to the Library you may make a check out to the Town of Pelham Public Library. We are happy to plate a book for your donation of $25 or more. We also accept memorial donations for materials and programs. Please call to speak to the Library Director at 914.738.1234, to be sure we can accommodate your gift. Please see the Library’s Gift Policy on the Library’s Policy page for further information. Or on the left menu block see > Using the Library > Library Policy. The Library can not accept restricted gifts without approval of the Library Board. Alternatively, you may wish to make a gift to the Friends of the Library. Please see the Friend’s page for further information. Call us on the phone at 914.738.1234 and speak to a Librarian at the Reference Desk. Speak to the Librarian at the Reference Desk on your next visit. Reserve an item online through the Library’s Catalog or OPAC (Online Public Access Catalog). This is also accessible from the Library’s Home page directly under the logo and Library name/address information in the hunter green bar running horizontally across the page. Enter your search term > look for the Place Hold link over the cover graphic on the left of the result list > click on Place Hold > enter the required information and click the Place Hold button. Reserve an item on the go via your Android, iPhone and/or iPod Touch device. Download the BookMyne mobile app. This FREE app developed by SirsiDynix allows users to access the online catalog. See an interesting book just scan the barcode and you can check the library catalog and place it on hold right there. Free! Download the app at the iTunes store. For more product information, visit this link. You may use the contact webform on the Contact Information page to make a program suggestion. Please note, we receive many solicitations for programs throughout the year and so we may not get back to you if we have no interest, feel there would not be an audience, it we believe the program to be a marketing tool, or if it doesn’t fit into our program plan for the immediate future. But we may retain your information for future use. Please note we plan out our programs a season in advance and need, at the very least, 2 months planning time prior to presenting a program or event. Most materials are renewable 1 time only unless there is a hold on the item. Exceptions include express items (i.e. Rapid Reads or 3-Day DVDs) and books brought in from outside of Westchester Library System’s member libraries (otherwise known as ILLs or Inter-Library Loans). Call the Automated Library Telephone System TeleCirc: You may use your telephone to access TeleCirc which is the preferred method for renewals. TeleCirc can be accessed 24 hours a day, 7 days a week. Dial 674-4169, and follow the prompts. Be sure to have your Library Card ready. Call us on the phone at 914.738.1234 and speak to a Staff person at the Circulation Desk. Bring the items into the Library on your next visit and the Staff at the Circulation Desk will assist you. Renew your item online here. Renew an item on the go via your Android, iPhone and/or iPod Touch device. Download the BookMyne mobile app. This FREE app developed by SirsiDynix allows users to access their Library’s online catalog. Free! Download the app at the iTunes store. For more product information, visit this link. When you search for a book in the Library Catalog and it is not owned by any of the 38 WLS member public libraries you will be directed to an online ILL (Inter-Library Loan) webform. Please fill in the form and your request will be submitted to the department that handles those requests as well as the Librarian at your Library who will be the contact for your request. Alternatively, you can call the Library at 914.738.1234 and speak to the Librarian at the Reference Desk who will be happy to assist you with your request. Please note the Library can not reserve media (i.e. DVDs, CDs, etc.) but we can also place a request for magazine and newspaper items. There may be a charge from the owning Library. You will be asked how much you are willing to pay should the item be located. Computers are on a first-come, first-served basis. Computer sign-up is managed by PC Reservation software. 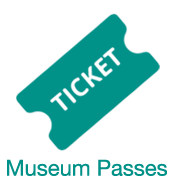 You will need a library card in good standing or a guest pass. We will take telephone reservations for a particular time slot for the same day at 738-1234. Please have your library card number handy. If you need a guest pass please see the Staff at the Circulation Desk upon your arrival. For further information on our computers and related technology please see Using the Library on the top menu block > Computers, Printers, Wi-Fi, or click here. The Library has no public meeting space. The Program Room is not available for non-library related use. Please see the Library’s Program Policy Statement on the Library Policy page for further information. I read this article and found it very interesting, thought it might be something for you. The article is called How Do I…?and is located athttps://www.pelhamlibrary.org/how-do-i.